 Swithens Farm is a working farm. For many years now Ian and his wife Angela have built a following that they welcome in all year around. My mother and father in law came to Swithens Farm in 1961 when my husband was 3 years old. They were tenants of the farm and grew vegetables which were sold through Leeds market and potatoes which they sold at the farm gate. They always had a few liveries. I bought my first horse when I was 17 and as Swithens Farm was the nearest livery yard to my home. I kept it with Mr and Mrs Broadhead. Ian and his brother Neil were members of Pontefract Young Farmers and I tagged along with them. We eventually became a couple when I was 18. We married when I was 20 and we now have 2 grown up children and 2 grandchildren. We were pig farmers during the 1990s but due to the ever-decreasing profitability in the industry, we decided to build up the livery yard. We put up an indoor arena and Ian built more stables. Someone would knock on the door asking for livery and I would reply I’m sorry but we’re full. Ian would jump out of the door and say “I’ll have one built for you in a week!”. When we got to 100 stables we put in an outdoor arena and I told Ian if he built any more stables I was divorcing him! My now mother and father in law retired and left the farm in 2005 and gave up the tenancy. The owners of the farm put the farm up for sale and we were able to buy it. We couldn’t afford the farmhouse which Mr and Mrs Broadhead lived in so it was sold off separately. As we now had a large mortgage we needed to find a way of generating more income. 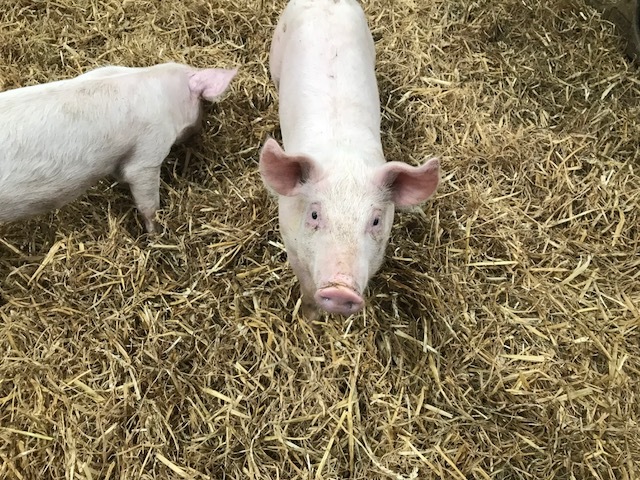 We had friends who after being pig farmers opened a farm shop and we went to see them for advice. They suggested we open a farm shop. As we live up a farm track which is half a mile from the main road, we didn’t think customers would travel so far off the main road just to buy a dozen eggs so we decided to install an indoor soft play centre and open up the farm to the public. We now have a farm shop, café, playbarn and petting farm. 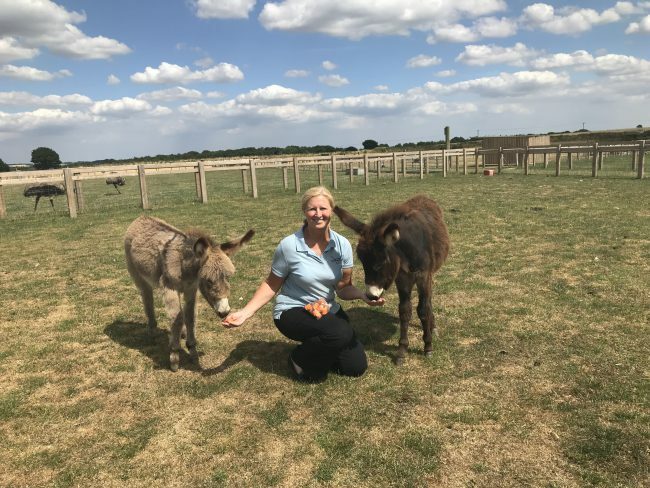 When we first opened we only had the usual farm animals – cows, pigs, sheep, chickens and it was free entry. We now have llamas, alpacas, meerkats, rabbits, guinea pigs, donkeys and a pony. will be from the butcher who has made the sausage by hand using our own pork. We also produce our own free-range eggs. Our daughters and extended family are still very much part of what we do here at Swithens. We continue to grow year on year but we never want to lose that fact that we are a working farm: big enough to cope but small enough to care.